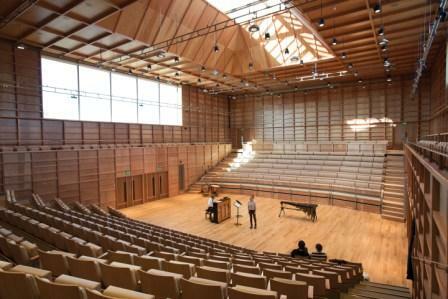 Further press coverage for our award-winning music building, designed by Tim Ronalds Architects, appears in this month’s Classical Music magazine, covering three music facilities which won RIBA awards recently. 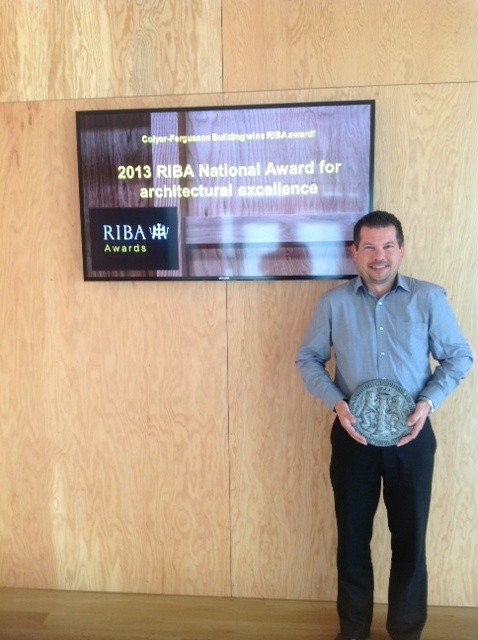 Still flushed with the success of last week’s musical extravaganza that was Summer Music Week, we’re delighted to announce that the Colyer-Fergusson Building won a RIBA (Royal Institution of British Architects) National Award 2013 on Wednesday evening. It is one of only two buildings in the Southeast to win a 2013 RIBA National Award for architectural excellence and one of 43 to win nationally, and will now go forward for RIBA’s top award, the Stirling Prize, with the shortlist being announced on 18 July. 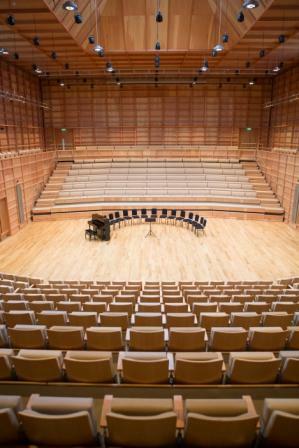 We’re delighted to announce that the Colyer-Fergusson Music Building has been shortlisted for a 2013 Canterbury Cultural Award. This nomination, in the Cultural Landscape category, comes less than two weeks after it was shortlisted for the 2013 RIBA (Royal Institution of British Architects) Southeast Regional Awards. 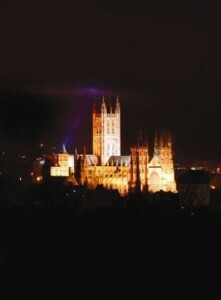 The Canterbury Culture Awards were launched in 2011 to recognise the value of cultural activity as a vehicle to stimulate economic growth, and to acknowledge and thank those who have made a significant contribution to the cultural life of the city. The Cultural Landscape Award is for a cultural organisation, group or individual making a significant positive impact to the district’s environment, architecture or public space. Designed by Tim Ronalds Architects, our music building and its facilities have revolutionised the University’s extra-curricular musical provision, and helped the musical life of the University rise to new levels, with students, staff and members of the local community combining to make music in this exceptional space. We are particularly delighted to reveal that the Colyer-Fergusson music building is one of two buildings from the University which has been shortlisted for the 2013 Royal Institution of British Architects Southeast Regional Awards. Both the music building and the new Crit Building (part of the School of Architecture) have been shortlisted for the presitigious award, of which the winner will be annouced in June. Next week sees the annual Colyer-Fergusson Cathedral Concert, and this year the University Chorus and Symphony Orchestra will come together in Brahms’ Second Symphony and Schubert’s Mass in A flat. The annual event is always one of the high points in the cultural calendar, and we’re busy amidst a final flurry of rehearsals in preparation for the big night. More details about the concert on our ‘What’s On’ page here. To whet your appetite, here’s the vibrancy of Brahms’ symphony captured by Simon Rattle and the Berlin Philharmonic. 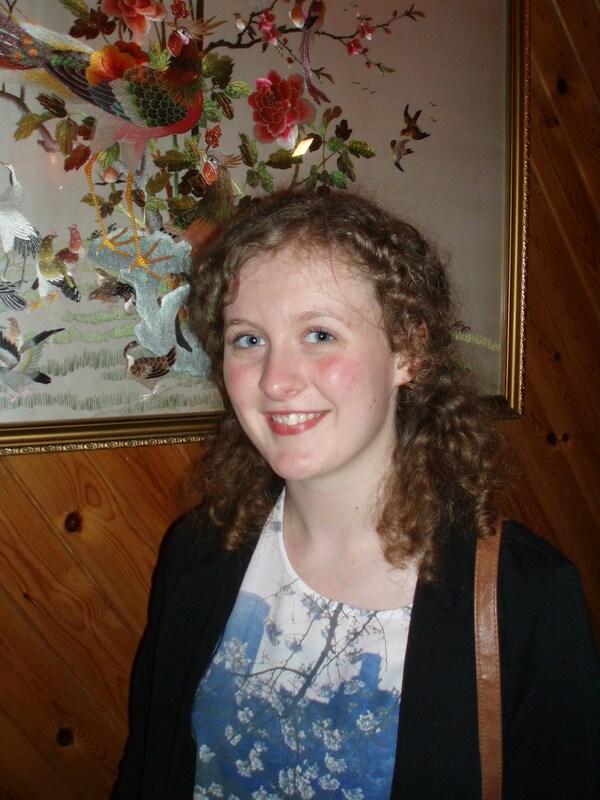 Continuing the series profiling some of this year’s Music Scholars. This week, woodwind specialist, Victoria Lockwood. From a very early age, music has always been an integral part of my life. Many of my summer holidays were spent in a tent at various folk festivals, watching my Dad perform with his folk bands. More recently I have begun to make guest appearances with them on stage at various venues, including the Cambridge, Sidmouth and Towersey Folk Festivals. I started having lessons on the clarinet in middle school and then also took up the alto saxophone in secondary school. I played in a variety of music groups throughout my time in middle and secondary school, from the school orchestra, clarinet group and jazz band, to the soul band, choir and chamber choir. This gave me plenty of opportunities to perform and I’d always find myself in more than one item in a single concert! In 2010 I was persuaded by the head of music to play the school’s baritone saxophone in the school’s jazz band, which I really enjoyed and ended up playing it in several other groups as well. I was then asked to play ‘Reed 4’ along with teachers, students and professional musicians, in the orchestra for the school’s production of ‘West Side Story’. I had to play clarinet, bass clarinet and baritone saxophone, which ended up being a bit of a squeeze when we had to fit everyone in the pit! In 2012 I also played in the orchestra for the school’s production of Oklahoma. Whilst in sixth form I took A level music. Outside of school I was actively involved with Milton Keynes Music Service for many years, where I played and performed with the Senior Wind Orchestra on 1st/solo clarinet and with Advanced Jazz on baritone saxophone. In the 2011 Gala Concert in Milton Keynes Theatre, I played the solo clarinet part in Gershwin’s Rhapsody in Blue. 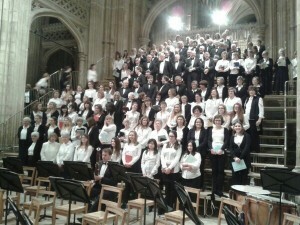 I have also participated in the Music Service tours to Lake Garda, Italy, and Paris, France, as part of the Wind Orchestra, Big Band and Choir. I travelled to Ghana in 2011 with a small group of students and teachers from MK Music Service to help teach students at a local music organisation, as well as giving concerts in a range of venues. I love any opportunity to widen my musical experiences and brought back a Djembe from Ghana and also a Sitar from India, where I went as part of a school cultural exchange. Whilst in Ghana I had the opportunity to work with a local drumming group, which was incredible, but after a while it does feel like your hands are going to fall off! Back home I play alto and baritone saxophone with a soul/funk band, which has given me a chance to write and arrange the horn parts. We have performed at a range of events, from pub gigs to New Year’s Eve, Birthday and Garden parties. I’m currently playing clarinet in the UKC Symphony Orchestra, and Sirocco group, and alto saxophone in Concert Band, and Big Band. 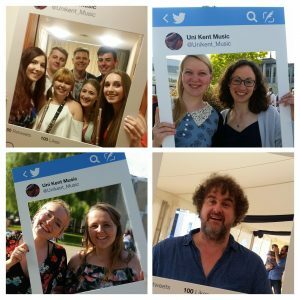 The musical opportunities at Kent have allowed me to experience a broad range of repertoire and I felt privileged to have performed a piece that had been commissioned especially for Concert Band. I really enjoyed playing in the Gala opening of the Colyer-Fergusson building last term and I am looking forward to the concerts coming up this term. Read the other profiles in the series here.